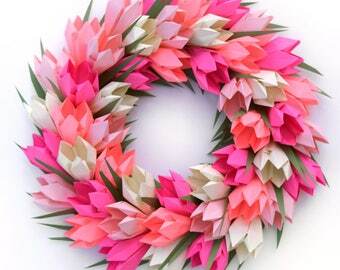 This rose and dahlia wreath is entirely made out of paper. The flowers are very close to life size. This arrangement includes 2 different color roses ( pale pink and peach pink), 2 different shades of yellow dahlias and white field lilies. 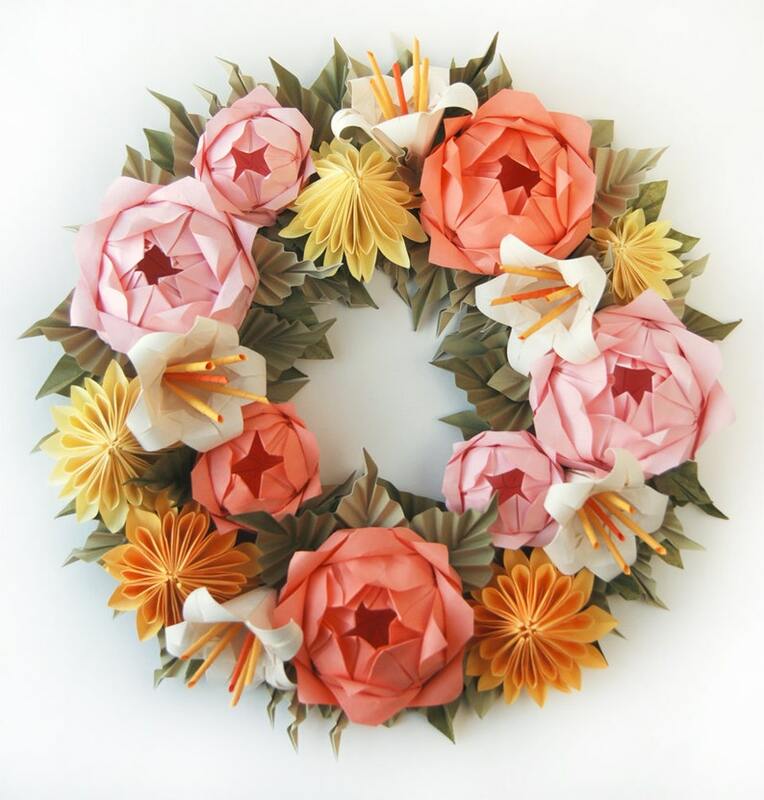 There are 7 roses, 5 dahlias, and 5 cream lilies on this wreath surrounded by 3 shades of olive green leaves. The wreath is about 12"x12". —Please do not place the wreath under sunlight. —Please note that each wreath is made to order, therefore there can be very slight differences with the picture presented. The wreath I received is even prettier than the pictures. 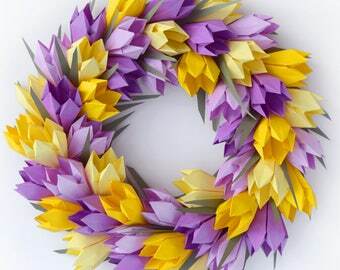 I’m still trying to figure out how anyone can make such a beautiful wreath out of paper. It is simply gorgeous. What a great talent! All orders usually ship within 5-8 days of purchase. 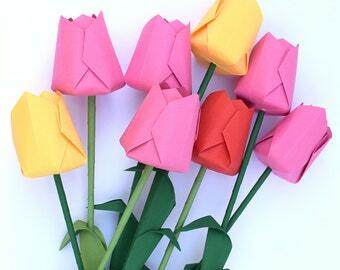 However, due to a high volume of orders I am not taking any more orders for Easter or Mother's Day. All orders placed after April 20th will arrive after June 18. Thank you for understanding.